As with all children you have to choose your battles carefully and at the moment we are having a battle of wills at the dinner table. I want F to eat and he doesn't. Instead he'd rather play, read, dance, watch TV, chat, anything other than sit and eat in one go. So I am left chasing him round with snacks, worrying he isn't eating enough and he is loving this new game. F has thrown down the gauntlet and I have decided to combat it with this good book. 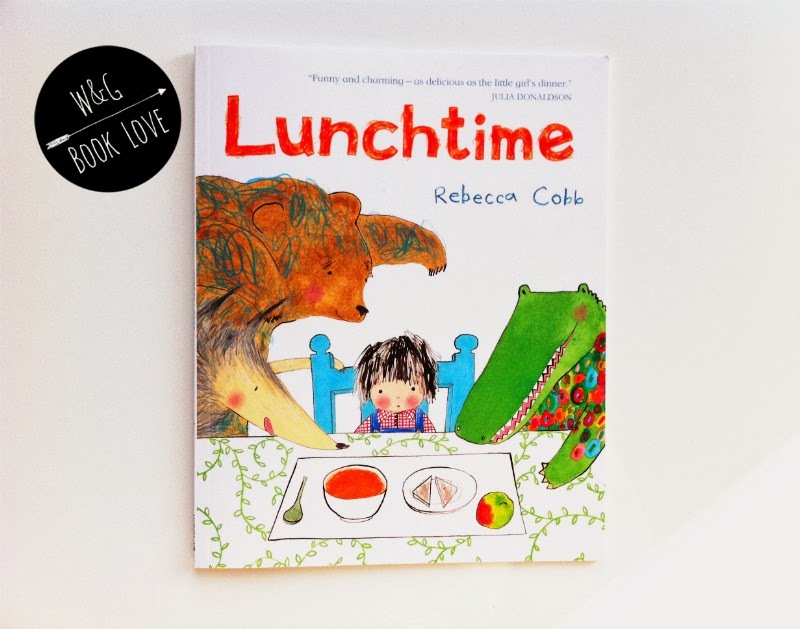 Lunchtime is a cheeky and funny tale of a cute but stubborn girl who refuses to eat her lunch. 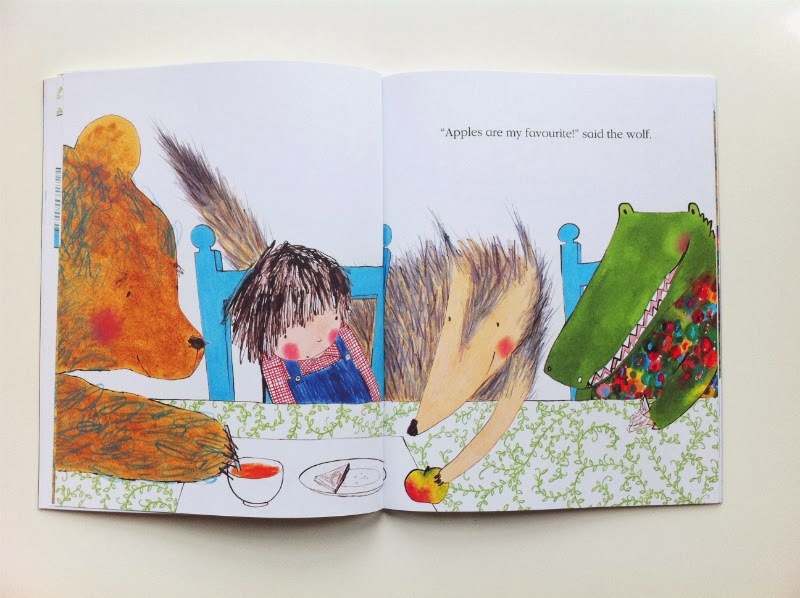 As she stares at her plate she is joined by a crocodile, bear and wolf all ravenous and eager to eat her food. They leave her plate empty and her free to have fun. 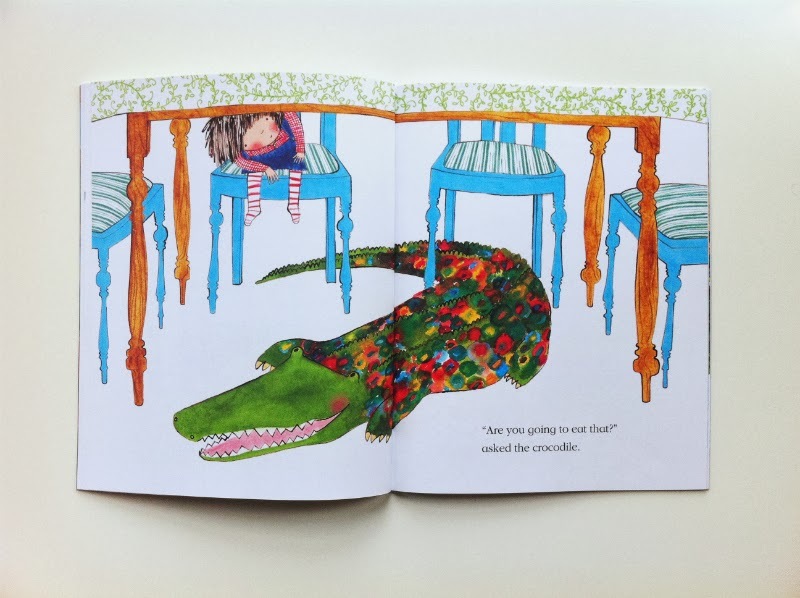 The playful illustrations are highlighted with vibrant colours: from the crocodiles swirls to the pops of turquoise, and will capture any child's imagination. After a busy afternoon the girl is called for dinner and once again the animals return to get their fill but this time the girl is starving and gobbles it all up, giving a good example to any fussy eater you might have at home. We have this one, it is super great, and it does sort of work to get S to eat! 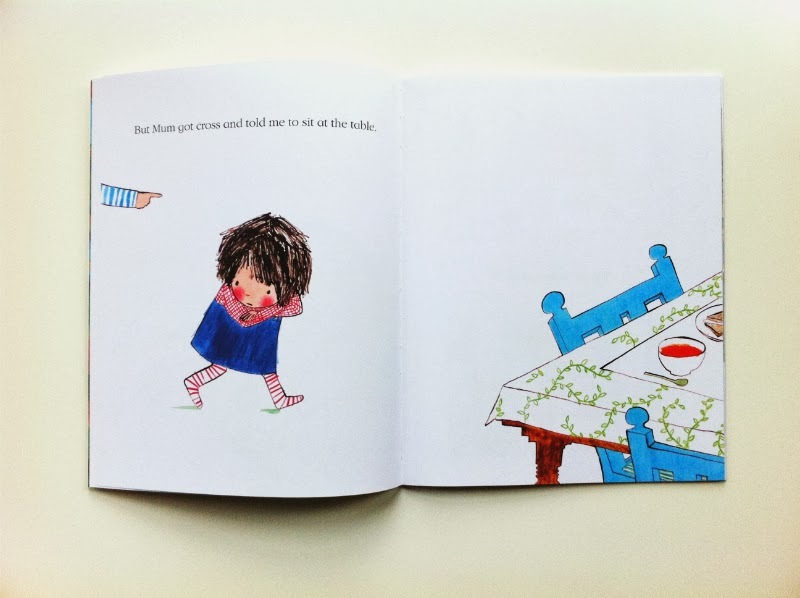 I really want the paper dolls one she illustrated for Julia Donaldson next! Love your blog by the way, only just found you!